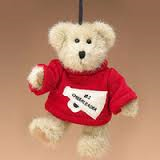 #1 Cheerleader ornament A Wink and a Smile Chimney Pillow Aime & Pam Goodfriends orn. Dawn Angelstar orn. Eldon Elfberg orn. Farkle R. Snowmoose orn. Fred orn. Ginger orn. Hope, Magic, Believe orn.